Mandatory reporting of OSHA is just around the corner! Be sure you are completing your OSHA 300 log accurately because you will very likely be sending the information to OSHA in 2017. 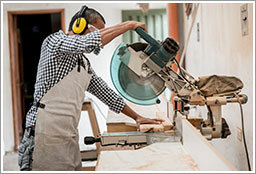 OSHA has updated the rules that pertain to the reporting of workplace injuries and illnesses. The new rule requires certain employers to electronically submit injury and illness data beginning in 2017. The goal is to encourage employers to better identify hazards, address safety issues, and prevent future injuries and illnesses. These same employers must electronically submit their OSHA 300A information for 2017 by July 1, 2018. Beginning in 2019, these employers must submit their OSHA 300A information (for 2018) by March 2, 2019. These same employers must electronically submit their OSHA 300A, OSHA 300 and 301 forms. – Effective July 1, 2018. Beginning in 2019, these employers must submit OSHA information (for 2018) by March 2, 2019. In addition to these upcoming requirements, the information submitted will also be posted publically on the OSHA website. For more information about the new OSHA recordkeeping requirements, contact a Knowledge Broker or register for our upcoming webinar.